This legendary bird Pokémon causes savage thunderstorms by flapping its glittering wings. Where Do I Find Pokemon GO Zapdos? This is one of the many legendary bird Pokemon during this event. Note that after defeating the Pokemon GO Zapdos Raid Boss you will have a chance to capture it! Pokemon GO Zapdos Raid Boss has one of the best and most unique double types in the game. Zapdos is both a Flying/Electric Type Legendary making it very weak to one of the most common Pokemon counters during this event, Golem. 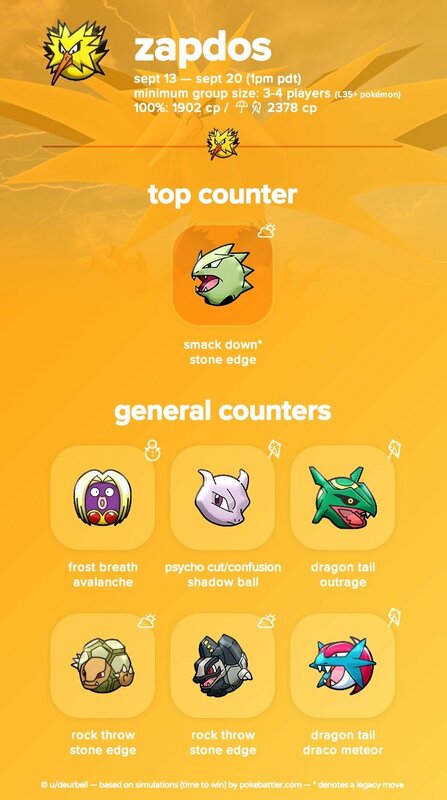 You can view the full Pokemon GO Zapdos Raid Boss Counters Guide Below. You would normally find and catch Pokemon GO Zapdos in Universty, College Campus and Industrial Parks Locations since it's an Electric and Flying type. However, This specific Pokemon can only be captured after defeating it in a Raid Battle. Raid Bosses spawn at Gym locations and players use Raid Passes to enter the battle. This is the Pokemon GO Zapdos Raid Egg. Only Legendary Pokemon can reach Level 5 Star Difficulty. It's Weak to Rock and Ice Type Moves. However, it will take less damage from and is resistant to Flying, Steel, Bug and more Type Moves. 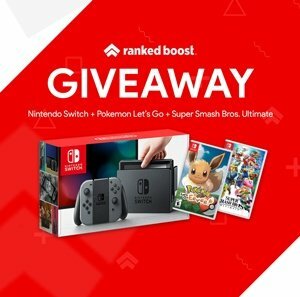 RankedBoost may receive a commission from Amazon purchases, learn more here. View the entire Pokedex list here, also including Legendaries. Egg Pokemon that can hatch from 2KM, 5KM and 10KM Eggs. List of All Evolutions including Starter and Legendaries. MAX CP Tier List, quickly find and view the Worst and Best.